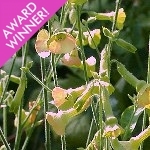 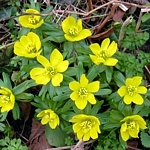 It's surprising that epimediums are not better known, because they are such attractive and useful plants, providing interest throughout the year to shady and woodland areas. 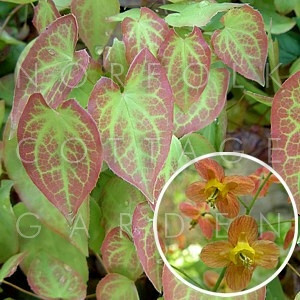 Delicate sprays of soft-orange flowers appear on slender, straight, stems from early Spring, followed by somewhat heart-shaped leaves which quickly develop beautiful bronze markings and are retained throughout the winter. 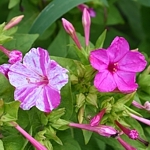 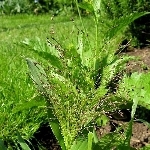 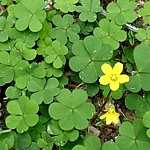 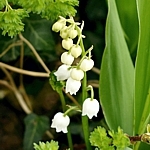 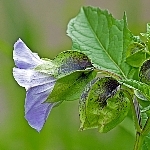 A very easy plant to care for - the main thing to remember is that the foliage should be cut back to the base in late winter so that the flowers, which appear in early Spring, before the fresh leaves, are not hidden from view. 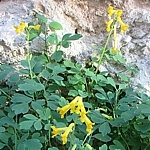 Drought-tolerant once established.